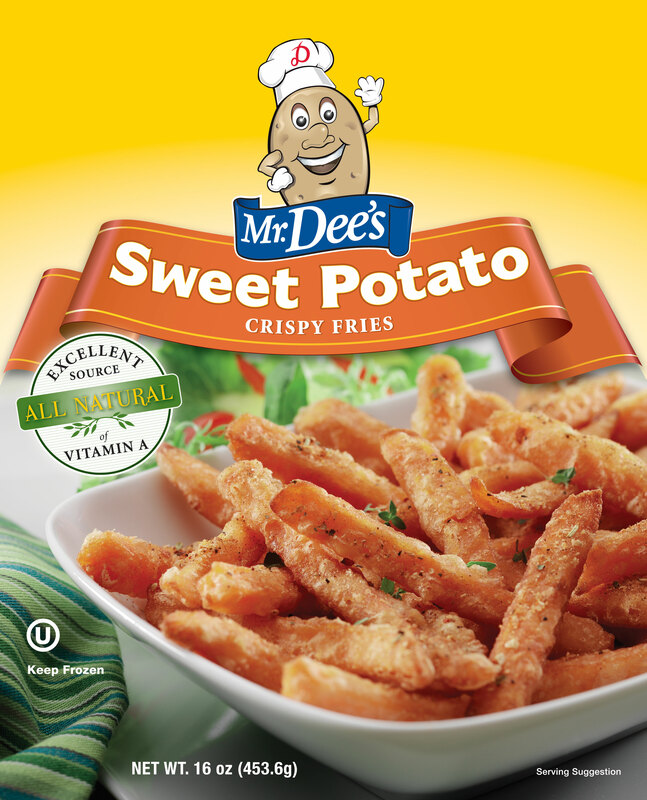 Mr. Dee's Sweet Potato Crispy Fries are a sweet, flavorful and good-for-you snack. An excellent source of vitamin A and antioxidant beta-carotene, these fries are also a good source of dietary fiber, potassium and vitamin C. Sourced from the finest sweet potatoes and carefully seasoned, they cook up crisp and delicious. Available in retail (16 oz.) size. SWEET POTATOES, SOYBEAN OIL, UNBLEACHED WHEAT FLOUR, UNMODIFIED WHEAT STARCH, SALT, LEAVENING (SODIUM ACID PYROPHOSPHATE, SODIUM BICARBONATE), EXTRACTIVE OF PAPRIKA, XANTHAN GUM.